The healthcare industry is always evolving as new innovations and options for patient care emerge. In addition, a changing regulatory landscape puts additional pressure on healthcare providers. Take, for example, the proposal to replace the Affordable Care Act with the American Health Care Act, which could significantly alter reimbursement and coverage. Healthcare organizations need to prepare for all of these changes while continuing to focus on efficiency, and providing high-quality, affordable healthcare and a great patient experience. 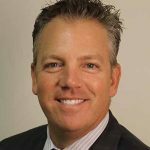 Chris Pass, chief financial officer at John Muir Health, shares his thoughts about the shifting healthcare environment and how he’s preparing his organization. What sort of changes are underway in healthcare? Healthcare has always been a changing industry, particularly when it comes to patient care. There are always new medicines coming out and new care protocols. There are more options for inpatient or outpatient treatments. In recent years, surgeons have been keeping people alive with artificial hearts until they can receive a transplant. While change certainly doesn’t come as a surprise, the challenge is we don’t necessarily know what will change. Healthcare organizations can prepare by having flexible processes and systems in place that can support those changes. Despite healthcare’s advancements on the care side, it’s lacking on the back-office side—creating an imbalance for patients as well as employees. How does the lack of progress on the back-office side impact the industry? One of the largest complaints about healthcare in the United States is how expensive it is. And it doesn’t help that it’s hard to tell patients what the final cost of their treatments will be with the level of accuracy and speed they are accustomed to in today’s technology-driven world. We can give four people the same treatment, but depending on the type of insurance they have, we will get paid four different amounts. There aren’t many business models that operate that way. Unfortunately, that makes things complicated for our customers. It also adds a level of complexity to our bookkeeping—at the most foundational level—as well to the broader finance operation. What are some ways healthcare organizations are tackling the affordability challenge? As healthcare organizations transform to make healthcare more affordable for patients, we need to automate processes and use technology to redirect resources from areas that don’t benefit the patient to areas that do. Only then can we provide better and faster care in the right locations, at lower costs. And to be profitable, we also need to lower operating costs and expenses, which requires a single source of truth—so you don’t need to spend time figuring out which number is correct. This is particularly important when you consider that, as a CFO, your organization relies on your data to make informed decisions. How does this affect the CFO’s role? Now that many organizations have transitioned from mostly paper-based systems to almost all electronic, we’re able to store more information and use it to inform our decisions. With so much data at our fingertips, we’re then challenged with making it useful and distinguishing insights from noise. What changes have you made at John Muir Health? At John Muir Health, we used to have over 13 different back-office systems. It wasn’t necessarily the systems that were expensive, but the integrations—the more they needed to talk to each other, the more expensive it was to maintain them. It became obvious that our existing systems weren’t adequate for this type of integration, especially when it started impacting our employees. We had folks—whether they were in supply chain or finance—leaving the company because it took so many manual processes to achieve an outcome. In an industry and geographic location with such advanced technology, it was very difficult for us to acquire and retain talent when our back-end systems weren’t up to par. That ultimately led us to the decision to implement a unified system that marries finance, supply chain, and HR. When you put those functions together, it’s exponentially more beneficial and efficient for how we deliver healthcare services and for the health system. It’s important to be able to have all the information about your employees and contractors in a system where it is integrated with the financials to look at utilization—how many hours people are working and what projects are driving profitability as well as areas that need improvement. That is the true differentiator that will allow us to swiftly adapt to changes in healthcare and transform our organization.